So mini yates is expected in the next few days. So my normal weekend Bootcamp is on hold at the moment until he is born…well after his birth! So I haven’t managed to do much physical exercise this bank holiday weekend. Yes I spent the day in the garden yesterday in the glorious sunshine painting the garden fences. 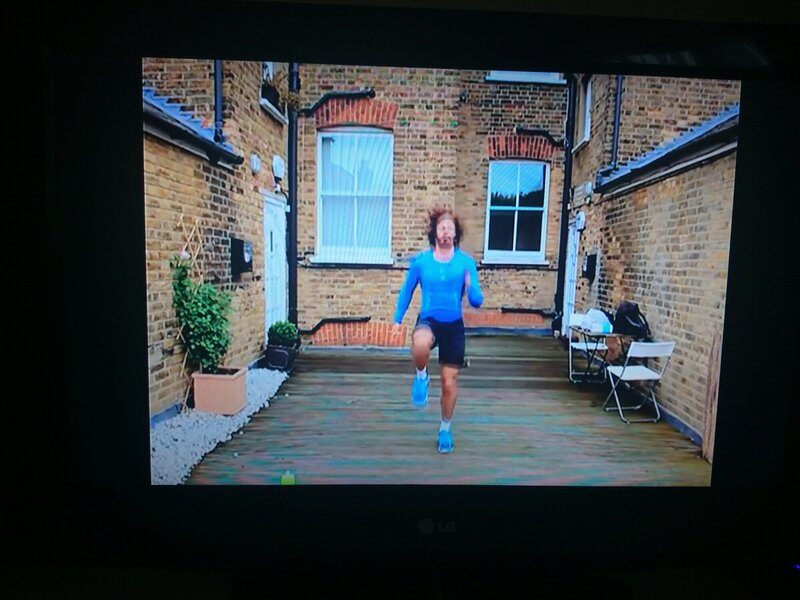 I’ve been following Joe Wicks for sometime now,but never done any of his exercises only his recipes. So I loaded up YouTube on the TV and landed up his home work out videos. I randomly picked 1 out and prepared the living room for space. Woooooah what a work out it was. It included a warm up session and then 5 excersies repeated 5 times. Boy did I get all sweaty in the front room in front of my wife and daughter. Like I say, I’ve never done 1 of his videos but I’m 100% hooked on it now! Guest Post from Stuart Bailey:- Rewards – Or Just Thoughts!